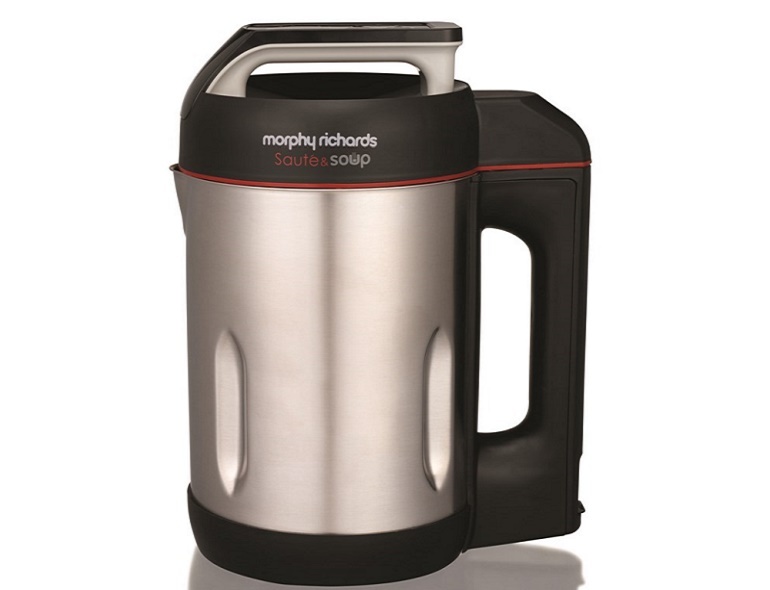 Introducing the Sauté and Soup Maker from Morphy Richards, the fuss-free way to make delicious soup, just the way you like it. In as little as 21 minutes, you can be sitting down with a bowl of fresh, homemade and nutritious soup. Unlike shop-bought soup, this soup will be made to your own personal taste and consistency. 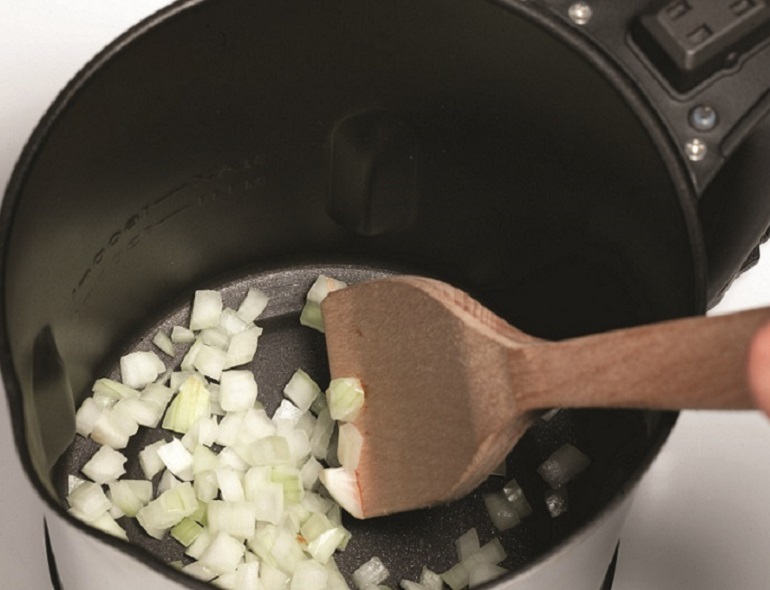 Featuring a sauté function you can add additional flavour to your soup by sautéing your onions/bacon pieces or vegetables in the same vessel that your soup is cooked in which reduces your washing up too. You can even make croutons in your soup maker. The Sauté and Soup Maker also features an easy clean non-stick coating making cleaning a breeze. 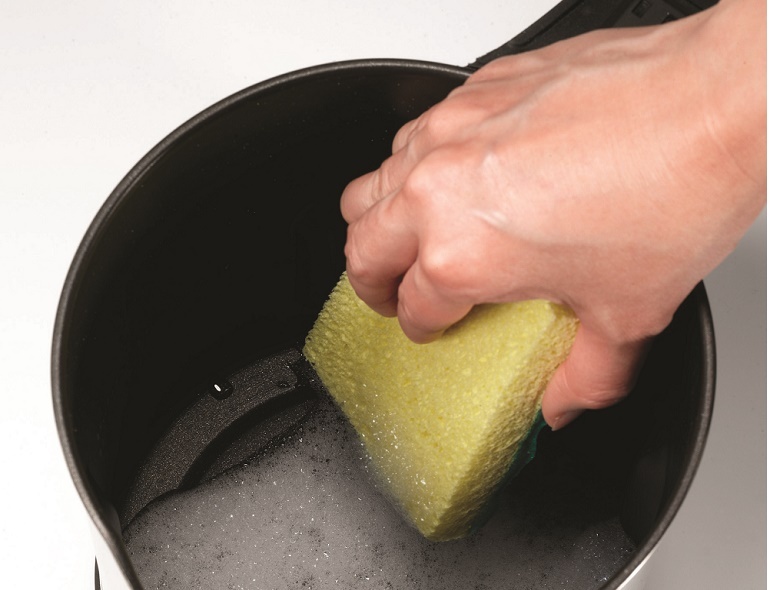 After you’ve enjoyed your meal, just give the jug a quick rinse under the tap, wipe it with a soapy sponge and your soup maker is ready for next time. 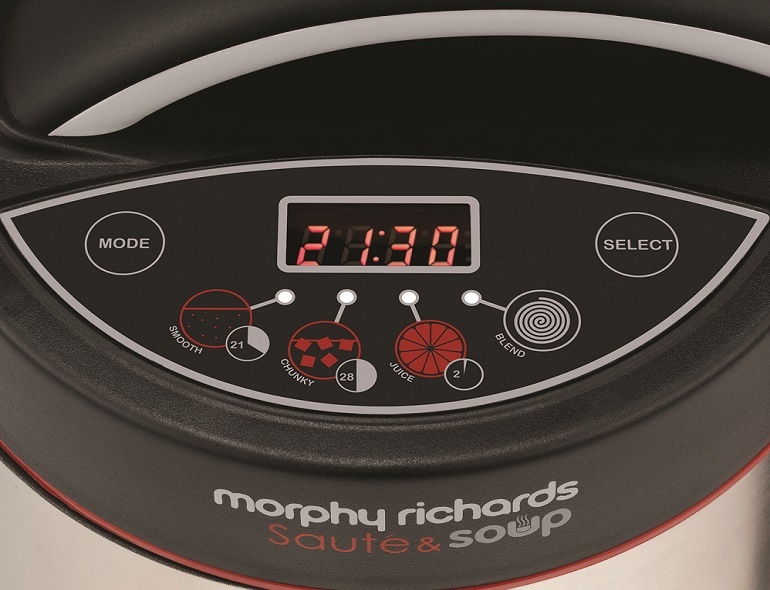 Introducing the new Sauté & Soup Maker from Morphy Richards. 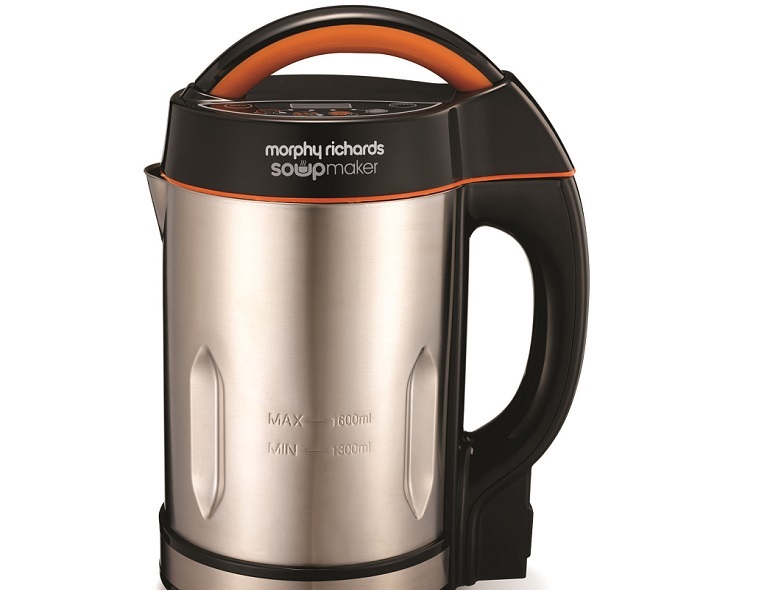 The fuss-free way to make delicious soup, just the way you like it. In as little as 21 minutes, you can be sitting down with a bowl of fresh, homemade and nutritious soup. Unlike shop-bought soup, this soup will be made to your own personal taste and consistency. Featuring our new sauté function you can now add additional flavour to your soup by sautéing your onions/bacon pieces or vegetables in the same vessel that your soup is cooked in reducing washing up too! 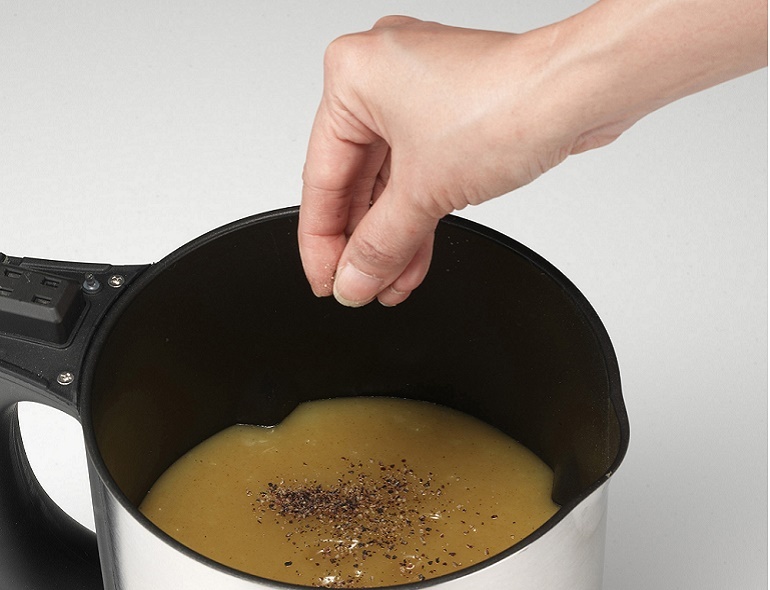 The new Saute & Soup Maker is quick and easy to use. Firstly prepare your ingredients; if you wish to sauté any ingredients place them in the jug first and use the sauté function to fry off the ingredients. Then, simply add your remaining ingredients to the soup maker and select either the Smooth or Chunky cooking setting and leave the soup maker to cook away. 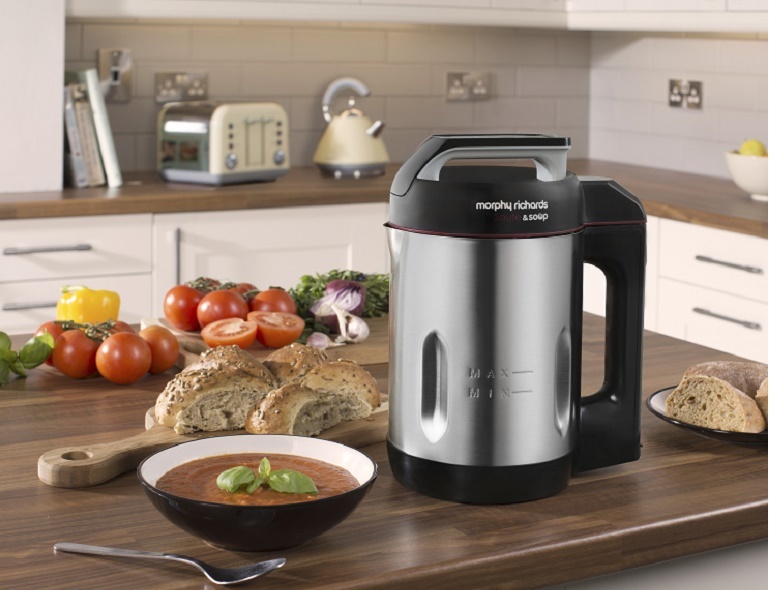 The Smooth programme blends and gently cooks soup in just 21 minutes, while the Chunky program cooks wholesome soup with a thicker consistency in 28 minutes. If your soup is a little too chunky for your liking, just press the Blend button until the texture of the soup is to your taste. RRP: €99.95. Now available at leading electrical retailers.